Celebrate the 4th Anniversary of the Brewhouse with art, live music, a new mural, food and fun! The festivities take place on Saturday, May 12 from 1PM until Midnight. The event is Free. AJ Brockman’s brainchild has gone beyond any expectations, as he kicks off “Kelsey Cares”, a non-profit to benefit the Lake Park Arts District. The Rickie Report shares the details and some sneak peeks. When AJ Brockman opened the Brewhouse Gallery, in 2014, it was easy to understand his concept – show original artwork from local artists and serve beer. But is was SO much more than that! This visionary saw it as a “brew house for ideas” as well as craft beers and artwork…a common gathering place for an entire community! As we head into the fourth phase of our grassroots effort, “The Back Alley Mural Project”, we ask our friends, family and business cohorts to help make it a success. The Rickie Report shares the details of the next phase and the continuing efforts of AJ and his not-for-profit, Kelsey Cares. 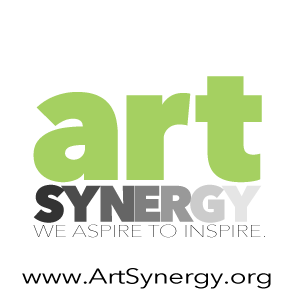 We look to fellow visual artists, performing artists, and their audiences to get involved! The Rickie Report is proud to be part of this effort! Revitalizing a community through a huge ( 900 foot) outdoor mural (one of the largest continuous murals in South Florida!) 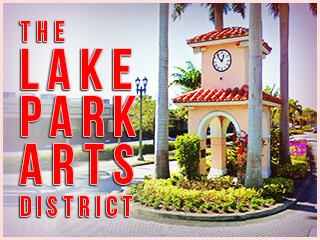 and launching The Lake Park Arts District! Introducing Kelsey Cares. After multiple community projects to revitalize the Town of Lake Park through the arts, specifically our renowned mural projects, we are now furthering our efforts through receiving our 501(c)(3) nonprofit status. Founded in 1919, the original Kelsey City (now Lake Park) was a cultural hub and we are continuing Harry Kelsey’s vision by cultivating The Lake Park Arts District. Kelsey Cares is Funding art, theater, music, film, and cultural development through community outreach by providing subsidies for productions, events, artists and musicians to carry out their mission. Thanks to the local community the launch of The Kelsey Theater has been a growing success, and even given birth to what we now call The Lake Park Arts District. That left us wondering, “What else can we do to make Lake Park great?” The answer is to utilize the only real estate we have left in a project that benefits local artists and the community alike. So, we need to fill this wall with eye-popping color that will make The Lake Park Arts District visible from outer space! Okay, maybe that’s a bit unrealistic, but we still want to beautify this town with public art. The extent to which the wall gets painted depends on how much money we raise. 100% of all the funds raised will be going towards supplies, rental equipment, permitting and actually paying these artists because artwork is WORK. 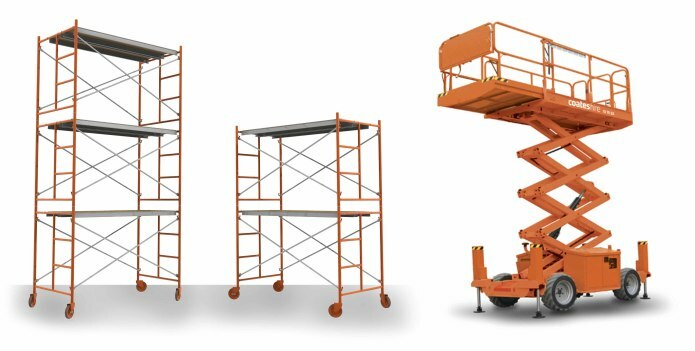 Once we reach our initial goal any additional money raised will be put into escrow and applied to the next round of muralists until we are able to paint the entire 700 building (pretty much a city block) every six months. After that, we start again right back at the beginning so there is always fresh imagery to inspire our community. Now to the good part… What you get in return for your support! We have a bunch of great perks at all different contribution levels, the majority of which center around “The 4yr Anniversary Block Party” scheduled for May 12, 2018. This will serve as our official wrap party and unveiling of the finished mural. 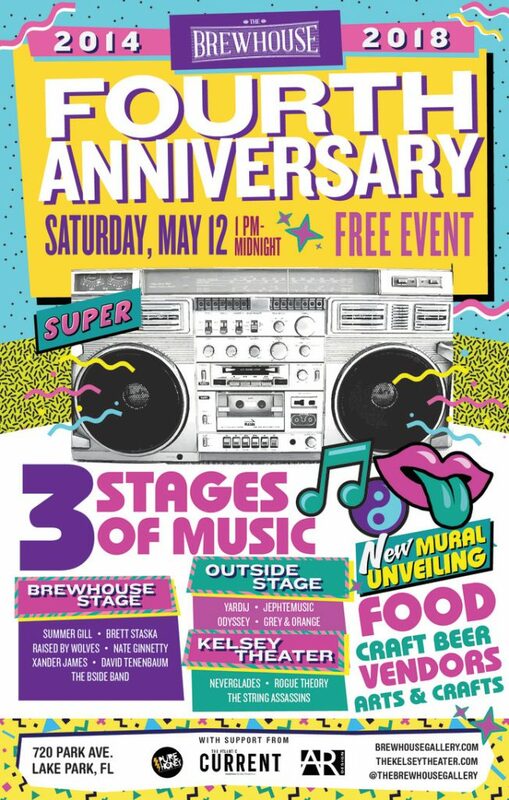 Food trucks, vendors, craft beer, live music, art demonstrations, and much more will be going down as we put the finishing touches on this masterpiece the day of. Not a local? No problem, many of our perks are easily shipped so you can help support this project from anywhere in the world. At the very least, come party with us at this free event and see what’s happening at The Lake Park Arts District for yourself! 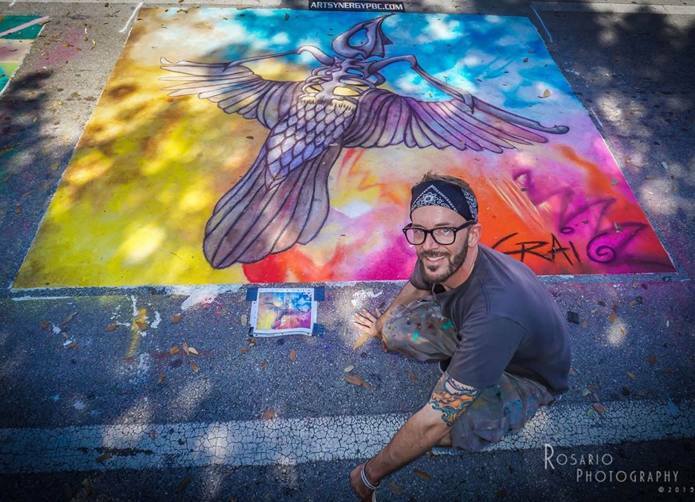 In conjunction with Art Palm Beach and ART Synergy, The Back Alley Art Festival returns… this time, with what we have all been waiting for, A BUILDING Mural! On Saturday, January 28th, this event marks the unveiling of the 700 block building murals at The Lake Park Arts District. Don’t miss art-related exhibitors and vendors. 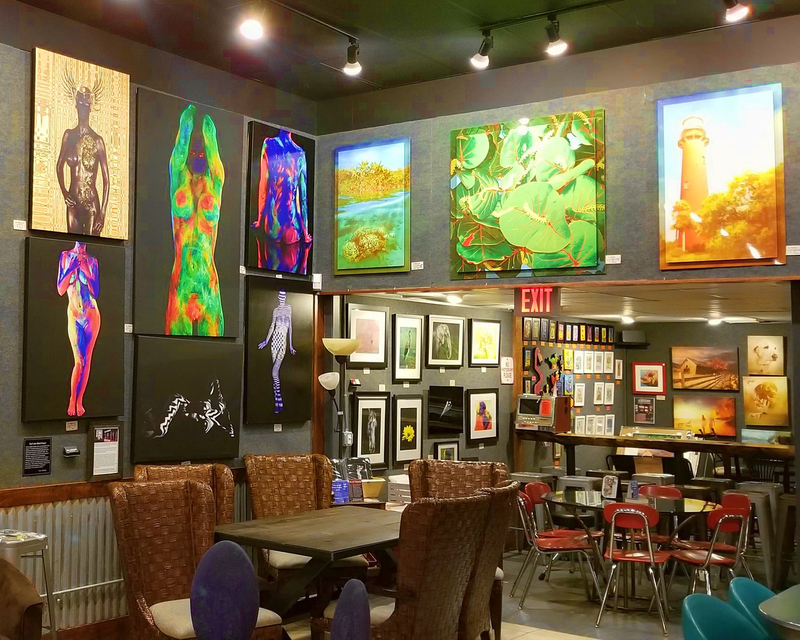 It all takes place at the Brewhouse Gallery/700 Block of Park Avenue in Lake Park. This is a family friendly event, starting at Noon and going until late. The Rickie Report shares the details here. 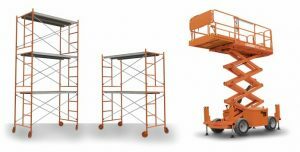 Artists and Artisans – check to see if you can get a space! Potential Exhibitors – Vendor booths are available but space is limited. 10′ x 10′ reserved section to set up a table and/or tent. Art related businesses, artists, and crafters welcome. $25 due upon set up the day of, cash or check. ARTISTS! Sell your wares at this amazing event! Email events@kelseytheater to participate. This will also serve as the official wrap-up party to our fundraising campaign in order to make this mural happen. The Brewhouse Gallery is a creative space to share ideas, hold meetings, listen to music, browse the art that surrounds you, or just relax with your laptop, a brew, and pretend to work while you browse ridiculous Facebook statuses. Nightly events may feature local musicians, poetry readings, Open Mic Night, book club meetings, inspirational speakers, classes, and a ton of great things to do! Not only do artists get commission-free exhibit space for three months at a time; visitors experience an ever-changing atmosphere of creative expression. 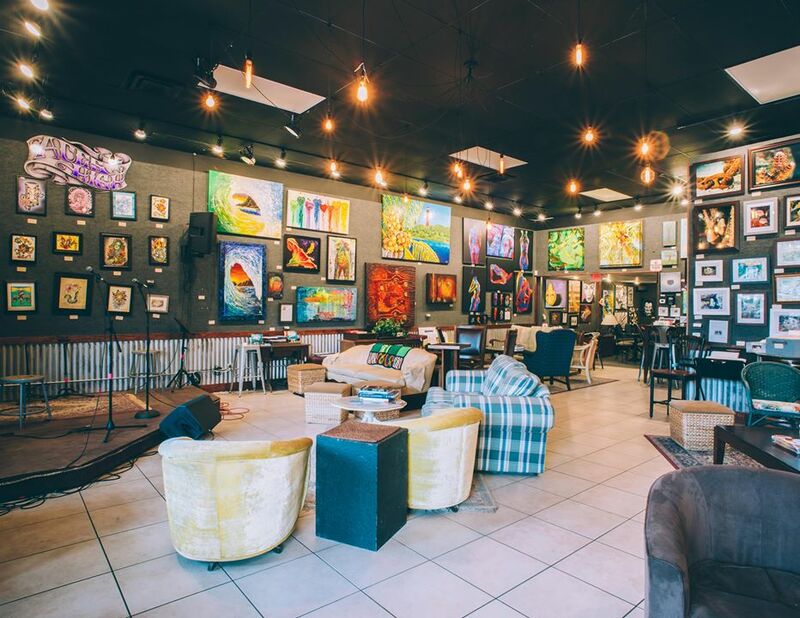 Complete with Wi-Fi, and a friendly vibe, the Brewhouse Gallery is your place to relax, socialize, and get something’ brewing! The Rickie Report shares the latest details on the Artists Meet and Greet taking place on December 22nd! 2D and 3D artwork for sale! Enjoy complimentary hors d’oeuvres and wine tasting. Everyone who purchases a piece of art (no price minimum) will receive a ticket for a $50 Gift Certificate drawing to The Brewhouse Gallery. Want To Share Your Artwork? No commission for a 3-month run! No volunteer time running the gallery. Wednesday – Trivia Night 7 to 9 Join us for Trivia where you and your friends can win free giveaways, drinks, and even a gift certificate for the top two teams each night. 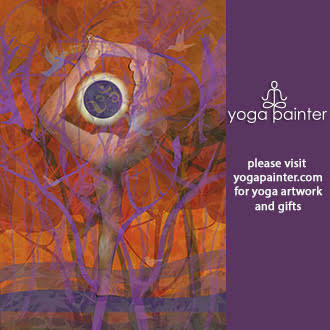 Save up those gift certificates and even by some original art… No other place offers that! Try to outsmart your friends and put all that useless knowledge to use. 7 to 9 every Wednesday! Newcomers Always Welcome!!!! Join a team and have fun! Thursday – Open Mic Night 8 to 11 Join us for our Thursday open mic night hosted by professional comedian Wayne Felber! Sign-ups start around 7 and performers take the stage around 8 pm. We have an in-house PA (limited microphones, cables, etc.) so please bring your equipment. It is a great mix of guitarists, spoken word poetry, vocalists, keyboard, drums, Improv & more. Saturday *FEATURED* Live Music, 8 to 11 A knee slapping good time! Featuring guest appearances by members of different bands, friends, family, neighbors, hell, Sasquatch and the Yeti are even rumored to be cookin’ up a few songs as a duo. If you miss this one, it’s a damn shame! Sunday is off to a great start at the Brewhouse! We’re already having great fun with some of our friends, but we would really love it if you came in to see us, too! All musicians are welcome but we require a blues Influence and this is more of an open jam set up. The performers are requested to arrive about a half an hour early to set up. Spectators welcome! Host your next shindig with us! You name it… We would love to have you. Enjoy complimentary hors d’oeuvres and wine tasting on Thursday, November 17th, in a night completely devoted to the artists with a Meet and Greet as The Brewhouse Gallery celebrates its resident artists! The Brewhouse is a community art gallery and craft beer oasis! Sit back with a locally roasted coffee, specialty soda or wine. 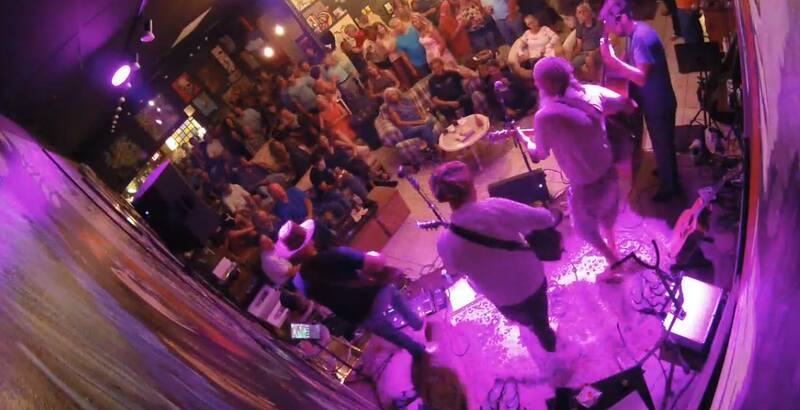 The Brewhouse is one of the most well-respected live music venues in South Florida. It’s a creative space to share ideas & get inspired. The Rickie Report shares the details, which includes information for artists to display their work and for the public to rent the facility. Stop by and see how AJ Brockman and his family have made Lake Park an arts and food destination! NOTE NEW DATE due to Thanksgiving! Enjoy complimentary hors d’oeuvres and wine tasting on Thursday, October 27th, in a night completely devoted to the artists with a “Meet and Greet” as The Brewhouse Gallery celebrates its resident artists! The Brewhouse is a community art gallery and craft beer oasis! Sit back with a locally roasted coffee, specialty soda or wine. The Brewhouse is one of the most well-respected live music venues in South Florida. It’s a creative space to share ideas & get inspired. The Rickie Report shares the details, which includes information for artists to display their work and for the public to rent the facility. 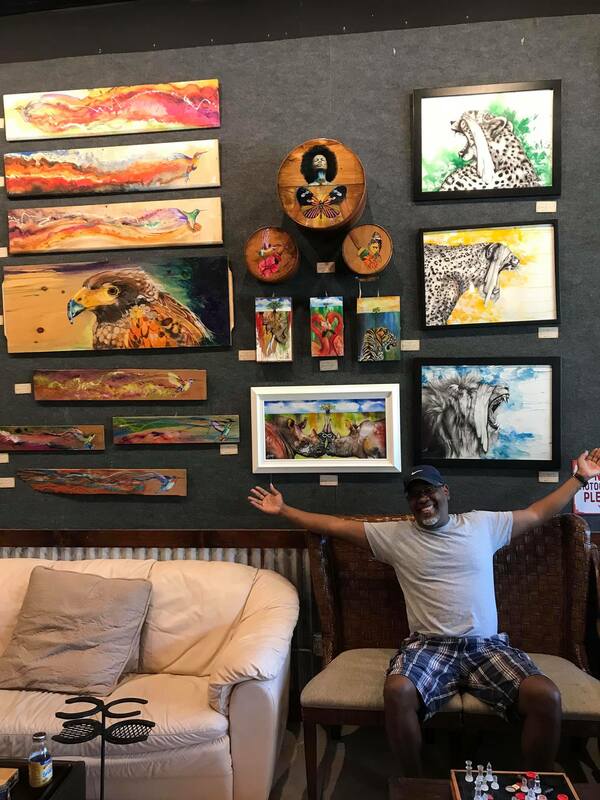 Stop by and see how AJ Brockman and his family have made Lake Park an arts and food destination! 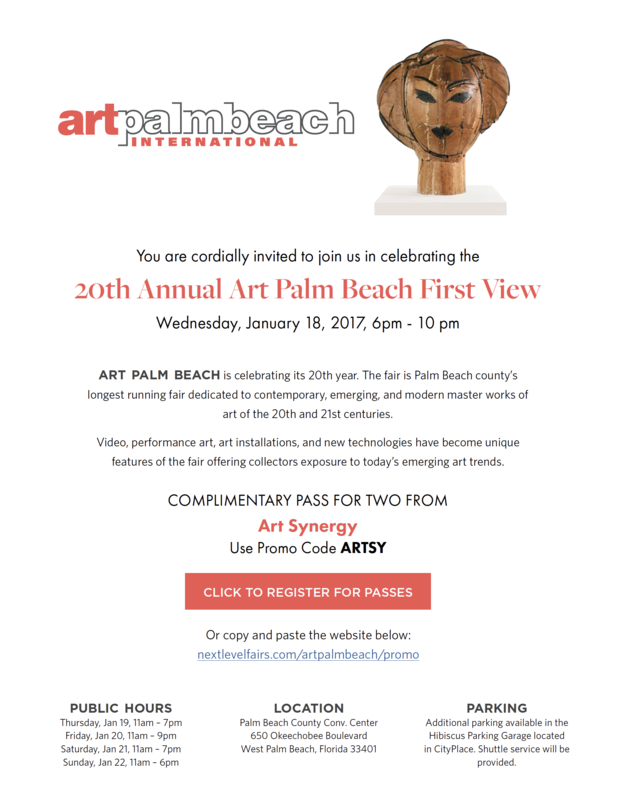 Art On Park Gallery, home of Artists of Palm Beach County, shares a new Call for Small Works Of Art. This juried exhibit includes cash prizes as well as a Free Opening Reception for the public to meet the artists on Friday, November 18th. Join everyone for the AfterParty at the Brewhouse Gallery down the street. Lake Park is becoming an ARTS DESTINATION!! The Rickie Report shares the details. This event is open to members and non-members!